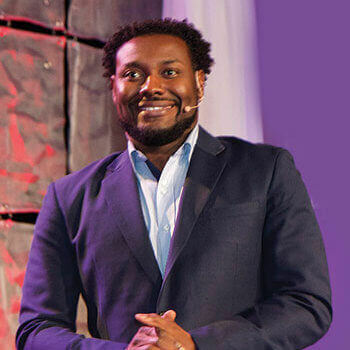 Based in Jamaica and Houston, Texas, Johnnie Green is a young network marketing professional who leads organizations of several hundred thousand members on six continents. He joined the business as a college student, when the possibility of making an extra thousand dollars a month sounded very exciting. Thinking outside the box, Johnnie saw network marketing as a vehicle to create a different life from the tedious jobs he found himself in and got started by offering the opportunity to fellow students. Originally from Beattyville, Kentucky, he also reached out to low-income families he grew up with. Johnnie quickly grew a domestic team, and then his business really took off when one day he was approached by someone in Malaysia looking to join a U.S.-based company. Over time, he built a huge team all over the world. Johnnie learned so much from his experiences that, at a young age, he became a consultant who now helps companies launch new markets around the world. One key to his success he says is being able to relate to people from all walks of life. He remembers when his team was 100% African American, one of his mentors told him to go out and "recruit five people who don't look like you." Johnnie took his advice to heart and focused on creating different success stories, constantly helping his leaders move forward, build them up, break records, and edify. Johnnie is passionate about sharing these stories and giving people hope wherever he goes. As Johnnie says, "...As a leader you have to believe in yourself when nobody believes in you. You must have vision, faith, and confidence. We all have some skill, something we are good at, and once we identify our weaknesses, we can turn them into strengths. "A leader must learn to lead by example. Just because you're the superstar doesn't mean you can't get back in the field, roll up your sleeves and build organically. You learn that if you want to build anything long term, you can't just go after all A-players. You have to consistently be looking to help create new success stories, because all great networkers were once just average people. "A leader is always willing to improve himself. You have to work on your skill set and welcome challenges. You need to have that winning attitude. When I wake up in the morning I think, 'one more,' meaning I'm one person away from creating new momentum, from going to the next rank, from making a six- or seven-figure check, whatever the goal is. "The last thing I tell people is, 'Save your money.' Many networkers who have these amazing stories go out and spend money like there's no tomorrow. Make sure to save or invest it wisely." Johnnie Green is commonly referred to as "the ghost" in MLM because of his unique style of building. This humble international superstar has built organizations of more than 500,000+ people expanding throughout 6 continents and has created hundreds of six-figure earners and several multiple seven-figure earners. Johnnie's goal is to devote more of his time in the future to teaching and mentoring young people.